Don Walter traces the short life of a minister’s daughter whose medical missionary work in India inspired a South Harrow congregation. The Alabaster Box, written by Dr T B Adam, a member of Harrow Baptist Church and with a foreword by the then well-known writer Sydney Walton, tells the moving story of Janet Ireland Hoare. Nevertheless, by 1928 she had not only graduated in medicine from London University, she had also acquired a gold medal in gynaecology. As a leading light of the Student’ Christian Movement, Janet next set her sights on medical missionary work overseas and applied to the Baptist Missionary Society for a post in India. 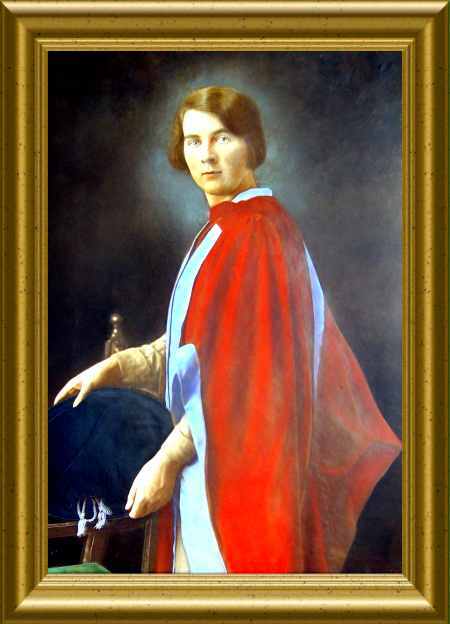 Much additional work was now demanded of her but she still found time to help establish a girl’s auxiliary at her father’s South Harrow Church. This, too, was the setting for a farewell service at which she was presented with a set of surgical instruments subscribed by the congregation. Though it may be hard for us to believe today, 70 years ago a journey to India was a much greater undertaking than a fast flight to Delhi so it was no surprise that a vast number of her friends turned up at Euston Station to see her off – so many friends, in fact, that she felt like “Mary Pickford or some other famous person”. In the event, it took her the best part of a month to reach her destination, a women’s hospital at Palwal, some 40 miles south of Delhi. 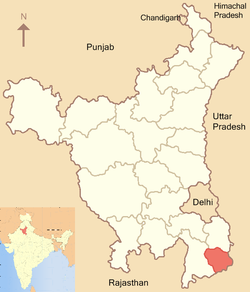 Palwal itself was a smallish town but it was sited at the heart of a district about the size of Essex with a population of approximately four million. So, from the start, Janet was stretched, assisting at operations, attending the town dispensary and visiting (on horseback) patients too sick to travel. In addition at 7am each day, she devoted some hours to language study. But in the cruelest fashion, her hopes were soon to be dashed. On April 4, little more than two months after her arrival, Janet complained of a headache but attributed it to eye strain from the Urdu script she was studying (she was obliged to wear spectacles for reading). As her temperature began to rise it was thought she had succumbed to influenza. In fact, she had developed a virulent lung infection and, within days, she lapsed into unconsciousness. Janet died soon afterwards, still in her twenties, still in missionary terms a “bachcha” (beginner). Yet her death was to prove a beginning in a very different sense. 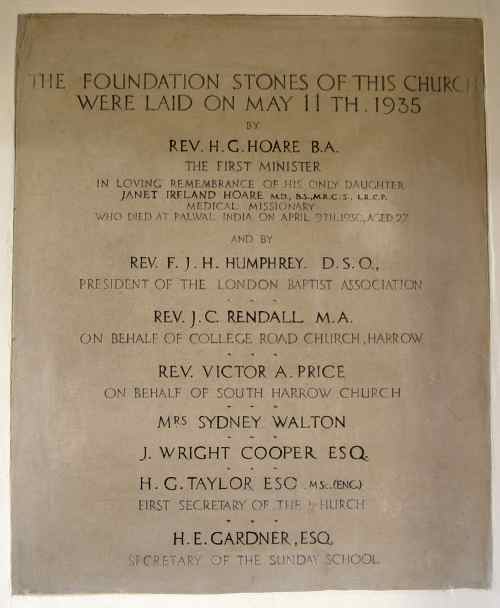 Inspired by her example, Baptists back home in Harrow redoubled their efforts to found a Baptist Church in Rayners Lane and May 1935 saw the laying of the foundation stone of the present church in Imperial Drive. As a plaque on the wall still proudly proclaims, it is dedicated to the undying memory of Janet Ireland Hoare.